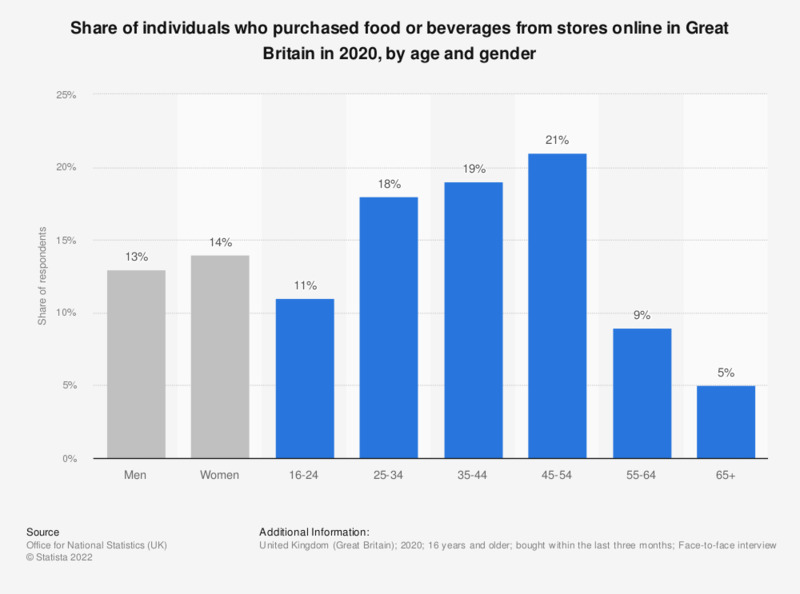 This statistic displays the share of individuals in Great Britain who purchased food or groceries online in 2018, by age and gender. Purchasing online was most common among the 35 to 44 year old demographic, with 48 percent of individuals within this group having made purchases in 2018.
bought within the last 12 months. Women: Do you seek out product reviews online when you want to learn or achieve something in food?